I'm in love with the cover of this book. Seriously. Everything about it. I also love how this is a perfect representation of what is inside. The cupcakes are a defining moment in the story and this is exactly what they look like! Yumma. This whole series is so good. I was so excited to get book four, especially after thinking there were only going to be three! Seth and Gwen are two fun characters and I really enjoyed watching them come together. Seth sure had to work hard to get Gwen to give him a chance. She was unnecessarily hard on him but thankfully she came around. Until she didn't. But then she did. Well, you get the idea. There were several times I thought, "poor Seth" but all's well that ends well, right? One thing I do know: I need a cook/baker like Seth living in my house! 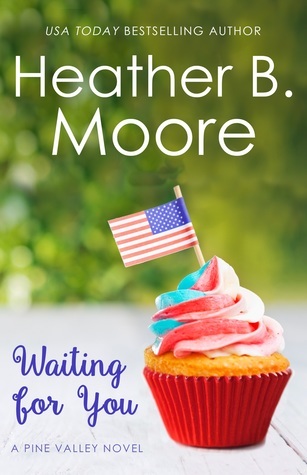 If you are looking for a light, sweet romance, check out this book and this whole series. They are guaranteed to make your heart happy. This is book four in the series but each book can stand alone.